These terms and conditions govern your use of the HEA Website, Services and Products. If you do not agree with these Terms, please do not use the services or products on this website. 1. Introduction. Please read this page carefully. It contains the terms and conditions (the "Terms and Conditions") governing your access to and use of the HEA-Employment.com Web Sites and the Services (as each are defined below) provided by HEA-Employment.com, LLC or one of its divisions (collectively, "HEA-Employment.com"). If you do not accept these Terms and Conditions or you do not meet or comply with their provisions, you may not use the HEA-Employment.com Web Sites or Services. These Terms and Conditions are effective as of January 01, 2012. 2. Binding Agreement. These Terms and Conditions (as they may be amended from time to time by HEA-Employment.com), together with your Service Activation Agreement (if applicable), form a binding agreement (the "Agreement") between you and HEA-Employment.com. Your access to or use of the HEA-Employment.com Web Sites or Services indicates your acceptance of these Terms and Conditions. You are agreeing to use the Sites at your own risk. 3.1 "HEA-Employment.com Materials" includes any materials, methodologies, implementation plans or other intellectual property used during the provision of Services. 3.2 "HEA-Employment.com Web Site" or the "Site" (collectively, the "HEA-Employment.com Websites" or the "Sites") means any web site under HEA-Employment.com's control, whether partial or otherwise and includes such Site's Content, Text, Graphics, Design, Programming, HEA-Employment.com Materials and Services (as applicable in each context). 3.10 "Services" means any services provided by HEA-Employment.com or its agents described herein and specified more fully in the Service Activation Agreement. 4.1 General Use Rules. The Sites are intended for individuals seeking employment and for employers or recruiters seeking candidates for employment. You may use the Sites only for lawful purposes within the stated context of HEA-Employment.com's intended and acceptable use of the Sites. HEA-Employment.com is the sole interpreter of the Sites' intended and acceptable use. 4.2 HEA-Employment.com Intellectual Property Rights. The Sites, the HEA-Employment.com Materials and all right, title and interest in and to the Sites and HEA-Employment.com Materials are the sole property of HEA-Employment.com or its licensors, and are protected by United States and foreign copyright, trademark and other laws. Except for the limited licenses expressly granted to you in these Terms and Conditions, HEA-Employment.com reserves for itself and its licensors all other rights, title and interest. Without limitation on the foregoing, you may not reproduce, modify, display, sell, or distribute the Content or HEA-Employment.com Materials, or use them in any other way for public or commercial purpose. Notwithstanding anything to the contrary contained herein, this prohibition includes: (a) copying or adapting the HTML code used to generate web pages on the Sites; (b) using or attempting to use engines, manual or automated software, tools, devices, agents, scripts robots or other means, devices, mechanisms or processes (including, but not limited to, browsers, spiders, robots, avatars or intelligent agents) to navigate, search, access, "scrape," "crawl," or "spider" any web pages or any Services provided on the Sites other than the search engine and search agents available from HEA-Employment.com on such HEA-Employment.com Sites and other than generally available third party web browsers (e.g., Internet Explorer, Firefox, Safari); and (c) aggregating, copying or duplicating in any manner any of the Content or information available from any of the HEA-Employment.com Sites, without the express written consent of HEA-Employment.com. The use of the Content on any other web site or in a networked computer environment for any purpose is strictly prohibited. The HEA-Employment.com Materials are not considered to be works for hire and you may duplicate such HEA-Employment.com Materials only for the purposes outlined in the Service Activation Agreement. "HEA-Employment.com," "Personified", the HEA-Employment.com design logo and certain other names or logos are service marks or trademarks of HEA-Employment.com, and all related product and service names, design marks and slogans are the service marks or trademarks of HEA-Employment.com. In addition, the "look" and "feel" of the Sites (including color combinations, button shapes, layout, design and all other graphical elements) are also protected by HEA-Employment.com's trademarks, service marks and copyrights. Any code that HEA-Employment.com creates to generate or display the Content or the pages making up the Sites is also protected by HEA-Employment.com's copyright. You must retain all copyright, trademark, service mark and other proprietary notices contained on the Content or HEA-Employment.com Materials on any authorized copy you make of the Content or HEA-Employment.com Materials. All other product and service marks contained on the Sites are the trademarks of their respective owners. 4.3 License to Use by Users who are Job Seekers. HEA-Employment.com hereby grants you a limited, terminable, non-exclusive right to access and use the Sites only for your personal use seeking employment opportunities for yourself. This authorizes you to view and download a single copy of the material on the Sites solely for your personal, noncommercial use. You agree that you are solely responsible for the content of any Document you post to a Site and any consequences arising from such posting. Your use of the Sites is a privilege. HEA-Employment.com reserves the right to suspend or terminate that privilege for any reason at any time, in its sole discretion. 4.4 License to Use by Users who are Employers. HEA-Employment.com hereby grants you a limited, terminable, non-exclusive right to access and use the Sites only for your internal business use seeking candidates for employment. This authorizes you to view and download a single copy of the material on the Sites solely for your personal use directly related to searching for and re cruiting job prospects. HEA-Employment.com also grants you a limited, terminable, non-exclusive license to use the HEA-Employment.com Materials and Services for your internal use only. You may not sell, transfer or assign any of the Services or your rights to any of the Services provided by HEA-Employment.com to any third party without the express written authorization of HEA-Employment.com. You agree that you are solely responsible for the content of any Document you post to a Site and any consequences arising from such posting. HEA-Employment.com reserves the right to suspend or terminate your access and use at any time if HEA-Employment.com determines that you are in breach of these Terms and Conditions. 4.5 Employer Materials. Employer represents, warrants and covenants that any Employer Materials provided by Employer for use in connection with the Services will not violate any laws or regulations or third-party proprietary rights, including, without limitation, copyright, trademark, obscenity, rights of publicity or privacy, and defamation laws. Employer hereby grants HEA-Employment.com a non-exclusive, worldwide, royalty-free license to use the Employer Materials and to hyperlink to Employer's website in connection with the Services. 4.7 User Submissions. HEA-Employment.com welcomes your comments regarding the Services and the Sites and appreciates hearing from you. Please note, however, that HEA-Employment.com does not accept or consider creative ideas, suggestions, inventions or materials other than those which it has specifically requested. If you submit feedback on the Services, please be specific in your comments and do not submit creative ideas, inventions, suggestions, or materials. If, despite this notice, you send HEA-Employment.com creative suggestions, ideas, drawings, concepts, inventions, or other information (a "User Submission"), you understand and agree that the User Submission shall become the property of HEA-Employment.com. User Submission and any elements contained in User Submissions, shall not be subject to any obligation of confidentiality on HEA-Employment.com's part, and HEA-Employment.com will not be liable for any use or disclosure of any User Submission. HEA-Employment.com shall exclusively own all now known or later discovered rights to the User Submission and shall be entitled to unrestricted use of the User Submission for any purpose whatsoever, commercial or otherwise, without compensation to you or any other person. 4.8 Forwarding Job Postings. The work@ App is offered through various social media networks and is only available to persons who are registered members of the social media networks through which they access the App. Subject to these Terms and Conditions and the terms and conditions of any social media network used by you, you may forward job postings broadcast by your Employer via the work@ App on social media networks to individuals who do not subscribe to this App by using the functionality provided as part of the App on the condition that job postings are distributed solely through the App functionality and only: (1) to individuals who have a relationship to you on various social media networks; and (2) for the purpose of alerting those individuals of job postings that may be of interest to them. You are expressly prohibited from exploiting job postings for any commercial purpose (such as in the operation of a professional recruiting service). You are also expressly prohibited from forwarding job postings to any group or mass distribution list or forwarding job postings in violation of any local, state, federal or international laws, rules or regulations, including, without limitation, the federal CAN SPAM Act of 2003. 5. Third Party Providers. You acknowledge and agree that HEA-Employment.com may provide the Services using third party providers, including subcontractors and consultants (the "Third Party Providers"). You agree that, as between HEA-Employment.com and its Third Party Providers, HEA-Employment.com will have sole responsibility for handling all billing and contract negotiations. 6. Disclaimers and Limitations on HEA-Employment.com's Liability. 6.1 Allocation of Responsibility HEA-Employment.com assumes no responsibility for Documents posted by Users and no responsibility for the activities, omissions or other conduct of Users. HEA-Employment.com acts as a portal for the online distribution and publication of User submitted information and has no obligation to screen communications or information in advance and is not responsible for screening or monitoring Documents posted by Users. If notified by a User of a Document which allegedly does not conform to these Terms and Conditions, HEA-Employment.com may investigate the allegation and determine in good faith and in its sole discretion whether to remove or request the removal of such Document. HEA-Employment.com has no liability or responsibility to Users for performance or nonperformance of such activities. HEA-Employment.com may take any action with respect to User submitted information that it deems necessary or appropriate, in its sole discretion. 6.2 No endorsements by HEA-Employment.com. Nothing on the Sites shall be considered an endorsement, representation or warranty with respect to any User or third party, whether in regards to its web site, products, services, hiring, experience, employment or recruiting practices, or otherwise. (a) THE SITES ARE PROVIDED ON AN 'AS IS' BASIS WITHOUT ANY WARRANTIES OF ANY KIND, EXPRESS OR IMPLIED. HEA-EMPLOYMENT.COM, TO THE FULLEST EXTENT PERMITTED BY LAW, DISCLAIMS ALL WARRANTIES, INCLUDING, BUT NOT LIMITED TO, THE WARRANTIES OF MERCHANTABILITY, TITLE, NON-INFRINGEMENT OF THIRD PARTIES' RIGHTS, AND FITNESS FOR PARTICULAR PURPOSE. HEA-EMPLOYMENT.COM MAKES NO WARRANTIES ABOUT THE ACCURACY, RELIABILITY, COMPLETENESS, OR TIMELINESS OF THE SITES. (i) HEA-EMPLOYMENT.COM DOES NOT WARRANT THAT THE SITES WILL OPERATE ERROR-FREE OR THAT THE SITES AND THEIR SERVERS ARE FREE OF COMPUTER VIRUSES OR OTHER HARMFUL MECHANISMS. IF YOUR USE OF THE SITES RESULTS DIRECTLY OR INDIRECTLY IN THE NEED FOR SERVICING OR REPLACING EQUIPMENT OR DATA, HEA-EMPLOYMENT.COM IS NOT RESPONSIBLE FOR THOSE COSTS. (ii) HEA-Employment.com makes no representations or guarantees regarding the truthfulness, accuracy, LEGALITY, completeness, timeliness or reliability of any Documents posted by Users, or of any other form of communication engaged in by Users. Documents may contain inaccuracies or typographical errors. You agree that any reliance on Documents posted by Users, or on any other form of communication with Users, will be at your own risk. (iii) HEA-Employment.com makes no representations or guarantees regarding the Content of the SiteS, including, but not limited to, broken links, inaccuracies or typographical errors. (iv) HEA-EMPLOYMENT.COM MAKES NO REPRESENTATIONS OR GUARANTEES REGARDING THE EFFECTIVENESS OF THE SERVICES OR TIMELINESS OF THE SERVICES IN MEETING YOUR EMPLOYMENT OBJECTIVES. HEA-EMPLOYMENT.COM DOES NOT GUARANTEE THAT THE SERVICES WILL RESULT IN CANDIDATES BEING HIRED, POSITIONS BEING FILLED OR EMPLOYEES BEING RETAINED, AND IS NOT RESPONSIBLE OR LIABLE FOR ANY BUSINESS, EMPLOYMENT, HIRING AND/OR SALARY DECISIONS, FOR WHATEVER REASON MADE, MADE BY YOU. (b) IN NO EVENT SHALL HEA-EMPLOYMENT.COM (OR ANY OF ITS OFFICERS, DIRECTORS, SHAREHOLDERS, EMPLOYEES, SUBSIDIARIES, AFFILIATES, AGENTS OR ADVERTISERS), BE LIABLE FOR ANY NON-DIRECT DAMAGES WHATSOEVER (INCLUDING, WITHOUT LIMITATION, INCIDENTAL AND CONSEQUENTIAL DAMAGES, LOST PROFITS, OR DAMAGES RESULTING FROM LOST DATA, LOST EMPLOYMENT OPPORTUNITY, OR BUSINESS INTERRUPTION) RESULTING FROM OR ARISING UNDER OR IN CONNECTION WITH SERVICES OR THE USE OR ACCESS TO, OR THE INABILITY TO USE OR ACCESS, THE SITES AND/OR ANY DOCUMENT, WHETHER BASED ON WARRANTY, CONTRACT, TORT, OR ANY OTHER LEGAL THEORY, AND WHETHER OR NOT HEA-EMPLOYMENT.COM IS ADVISED OF THE POSSIBILITY OF SUCH DAMAGES. THIS SECTION SHALL NOT APPLY TO ANY PAYMENT AND INDEMNIFICATION OBLIGATIONS DESCRIBED HEREIN. (c) BECAUSE SOME STATES OR JURISDICTIONS DO NOT ALLOW THE EXCLUSION OR LIMITATION OR LIABILITY FOR CONSEQUENTIAL OR INCIDENTAL DAMAGES, THE LIMITATIONS SET FORTH IN THE PRECEDING PARAGRAPH MAY NOT APPLY TO YOU. IF ANY ARE HELD INAPPLICABLE OR UNENFORCEABLE FOR ANY REASON, THEN HEA-EMPLOYMENT.COM'S MAXIMUM LIABILITY TO YOU FOR ANY NON-DIRECT TYPE OF DAMAGES SHALL BE LIMITED TO U.S. $200.00 IN THE AGGREGATE. (d) IN NO EVENT SHALL HEA-EMPLOYMENT.COM (OR ANY OF ITS OFFICERS, DIRECTORS, SHAREHOLDERS, EMPLOYEES, SUBSIDIARIES, AFFILIATES, AGENTS OR ADVERTISERS), BE LIABLE FOR ANY DIRECT DAMAGES IN EXCESS IN THE AGGREGATE OF US$200.00 (OR, IF YOU ARE AN EMPLOYER WITH A SERVICES AGREEMENT WITH HEA-EMPLOYMENT.COM, THE AMOUNTS ACTUALLY PAID BY YOU TO HEA-EMPLOYMENT.COM UNDER THIS AGREEMENT IF GREATER THAN US$200.00). (e) Due to the nature of this Agreement, in addition to money damages, you agree that HEA-Employment.com will be entitled to equitable relief upon a breach of this agreement by you. 6.5 User Authentication. Because User authentication on the Internet is difficult, HEA-Employment.com cannot and does not confirm that each User is who they claim to be. Because HEA-Employment.com does not and cannot be involved in User-to-User dealings or control the behavior of participants on the Sites, in the event that you have a dispute with one or more Users, you release HEA-Employment.com from claims, demands and damages (actual and consequential and direct and indirect) of every kind and nature, known and unknown, suspected and unsuspected, disclosed and undisclosed, arising out of or in any way connected with such disputes. 7. Payment of Services upon Termination of Service Activation Agreement. If at any time during the course of this Agreement you should terminate a Service Activation Agreement or any other services Agreement in which these Terms and Conditions have been incorporated by reference, then HEA-Employment.com shall reserve the right to receive all payments from you for the Services used by you up to termination and for fifty percent (50%) of the remaining unused portion of the Service Agreement. 8. Links to Other Sites. HEA-Employment.com contains links to third party web sites. These links are provided solely as a convenience to you and not as an endorsement by HEA-Employment.com of the contents on such third-party web sites. HEA-Employment.com is not responsible for the content of linked third-party sites and does not make any representations regarding the content or accuracy of materials on such third-party web sites. If you decide to access linked third-party web sites, you do so at your own risk. 9. Amendments to this Agreement and Changes to Sites. HEA-Employment.com may revise these Terms and Conditions at any time by updating this page. Changes will be binding on you on the date they are posted on the Sites (or as otherwise stated in the any notice of such changes). Any use of a Site will be considered acceptance by you of the then-current Terms and Conditions (including any exhibits thereto) contained on such Site. If at any time you find the Terms and Conditions unacceptable, you may not use the applicable Site any longer. Any new or different terms supplied by you are specifically rejected by HEA-Employment.com unless HEA-Employment.com agrees to them in a signed writing specifically including those new or different terms. HEA-Employment.com may change the Sites at any time. 10. Indemnity. You agree to defend, indemnify, and hold harmless HEA-Employment.com (and its subsidiaries, affiliates, officers, directors, employees and agents) from and against any third party claims, actions or demands (including, without limitation, costs, damages and reasonable legal and accounting fees) alleging or resulting from or in connection with your use of the Sites, any Document posted by you, your use of the Services or your breach of this Agreement. HEA-Employment.com shall use reasonable efforts to provide you prompt notice of any such claim, suit, or proceeding and may assist you, at your expense, in defending any such claim, suit or proceeding. 11.1 When you register on any of the HEA-Employment.com Sites or in connection with the Services, you will be asked to create an account and provide HEA-Employment.com with certain information, including but not limited to, a valid email address ("User Information"). You acknowledge and agree that you have no ownership rights in your account. 12. Questions and Notices. Questions concerning the use of the Sites should be directed to Feedback. Notices to HEA-Employment.com should be sent to the address listed on the Sites. We will send notice to you at the address submitted by you or to such other address as HEA-Employment.com reasonably determines is an appropriate address for you. 13. General. HEA-Employment.com contact information is listed on the Sites. HEA-Employment.com makes no claims that the Content is appropriate or may be downloaded outside of the United States. Access to the Content may not be legal by certain persons or in certain countries, and such persons have no right to access or use the Sites. If you access HEA-Employment.com from outside of the United States, you do so at your own risk and are responsible for compliance with the laws of your jurisdiction. This Agreement and your Service Activation Agreement, if you have one, are governed by the internal substantive laws of the State of Illinois, without respect to its conflict of laws principles. Jurisdiction for any claims arising under this Agreement or your Service Activation Agreement shall lie exclusively with the state or federal courts in the State of Illinois. The sole relationship between you and HEA-Employment.com is that of independent contractors. If any provision of this Agreement is found to be invalid by any court having competent jurisdiction, the invalidity of all or part of a provision shall not affect the validity of the remaining parts and provisions of this Agreement, which shall remain in full force and effect. All provisions of this Agreement shall survive termination except those granting access or use to the Sites, and you shall cease all your use and access thereof immediately. You may not assign or transfer your obligations under this Agreement. No waiver of any term of this Agreement shall be deemed a further or continuing waiver of such term or any other term. Except as expressly provided by HEA-Employment.com in a particular "Legal Notice," or material on particular web pages of the Sites, this Agreement and your Service Activation Agreement where applicable, constitute the entire agreement between you and HEA-Employment.com. (b) You may not use a Document(s) to: (i) impersonate another person, living or dead; (ii) post false, inaccurate or misleading information, opinions or notices (commercial or otherwise) or chain letters; (iii) post advertisements, or solicitations of business (including, but not limited to, email processors, any pyramid scheme or "club membership"); provided, however that HEA-Employment.com may allow posting of certain training and business opportunities (see 14.1(e) below). (e) In limited circumstances, at HEA-Employment.com's sole discretion, HEA-Employment.com allows non-traditional job postings such as education/training, business opportunities, franchise, and multi-level marketing opportunities to be posted on the Sites. These non-traditional job postings may require an investment of time and/or money by the User seeking the position. HEA-Employment.com reserves the right, in its sole discretion, to move, modify, or remove entirely a non-traditional job posting if HEA-Employment.com deems such job posting to conflict with the best interests of its Users or detract from the User experience. (g) HEA-Employment.com is under no obligation to monitor the Documents posted on the Sites, but it may monitor Documents at random. Documents found to violate the above Posting Rules may be removed at HEA-Employment.com's sole discretion. (c) Protect your password. You are responsible for maintaining the confidentiality of your information and password. You are responsible for all uses of your registration, whether or not authorized by you. If others use your password to post inappropriate material on the Sites, you risk losing your access to the Sites. You agree to notify HEA-Employment.com immediately of any unauthorized use of your registration and password. (f) If at any time HEA-Employment.com comes to the understanding that you: (i) misled HEA-Employment.com regarding your business practices and/or services, or (ii) purchased services that do not represent your precise business, HEA-Employment.com reserves the right to terminate your Agreement. (b) Violation of these Security Rules may result in civil or criminal liability. HEA-Employment.com will investigate occurrences which may involve such violations and may involve, and cooperate with, law enforcement authorities in prosecuting Users who are involved in such violations. 15.1 HEA-Employment.com respects the intellectual property of others. It is HEA-Employment.com's policy to respond to claims of copyright and other intellectual property infringement. HEA-Employment.com will promptly process and investigate notices of alleged infringement and will take appropriate actions under the Digital Millennium Copyright Act ("DMCA") and other applicable intellectual property laws. Upon receipt of notices complying with the DMCA, HEA-Employment.com may act expeditiously to remove or disable access to any material claimed to be infringing or claimed to be the subject of infringing activity and may act expeditiously to remove or disable access to any reference or link to material or activity that is claimed to be infringing. HEA-Employment.com will terminate access for Users who are repeat infringers. 15.2 Notifying HEA-Employment.com of Copyright Infringement: To provide HEA-Employment.com notice of an infringement, you must provide a written communication to the attention of "Trust and Site Security" care of Support@hea-employment.com that sets forth the information specified by the DMCA (http://www.copyright.gov/title17/92chap5.html#512). Please also note that you may be liable for damages (including costs and attorneys' fees) if you materially misrepresent that an activity is infringing your copyright. 15.3 Providing HEA-Employment.com with Counter-Notification: If we remove or disable access to content in response to an infringement notice, we will make reasonable attempts to contact the owner or administrator of the affected site or content. If you feel that your material does not constitute infringement, you may provide HEA-Employment.com with a counter notification by written communication to the attention of "Trust and Site Security" at Support@hea-employment.com that sets forth all of the necessary information required by the DMCA (http://www.copyright.gov/title17/92chap5.html#512). Please note that you may be liable for damages (including costs and attorneys' fees) if you materially misrepresent that an activity is not infringing the copyrights of others. If you are uncertain whether an activity constitutes infringement, we recommended seeking advice of an attorney. Please note that Sections 16, 17, 18 and 19 below contain terms and conditions relating to specific Services (Resume Database, WorkForce Analytics, Design Services (including Website Design Services and Integration Services) and WorkLife and you should review those Sections closely if you are purchasing or using any of those specific Services. 16.1 HEA-Employment.com grants you a limited, personal, terminable, non-transferable, non-exclusive right to access the HEA-Employment.com Resume Database via the Sites for the purpose of viewing and/or downloading a single copy of available paper and/or video resumes (collectively "Resumes") solely for your use. 16.2 The Resume Database is to be accessed and used solely by you. Upon your successful registration for Resume Database subscription, you will be provided with a unique password that will permit you to access the Resume Database. You may not provide your password or otherwise permit access to the Resume Database to any third party. You may download, one at a time, up to either 50 Resumes per day or 300 Resumes per day (per Resume Database user seat) depending on the Resume Database product purchased by you in accordance with the terms of your Agreement. Please note that the term "download" shall include: (i) viewing or clicking on a Resume page; (ii) saving a Resume to a folder; (iii) printing a Resume; (iv) copying a Resume; (v) emailing or forwarding a Resume; and/or (vi) any other action that results or could result in your use of a Resume or any of the information contained therein. You agree to protect and keep your password confidential, to change your password on a regular basis, and to maintain appropriate and regularly updated malware scanning and cleaning tools on your network and individual computer(s). 16.3 You may not use the Resume Database in any way which, in HEA-Employment.com's sole judgment, adversely affects HEA-Employment.com's business, business prospects, the performance or function of any Site or the Resume Database, or interferes with the ability, of other subscribers to access the Resume Database. Further, your use of the Resume Database may not interfere or violate, in any manner, the privacy election of HEA-Employment.com Job Seekers. 16.4 You may use your subscription to the Resume Database only for seeking candidates for employment, You are specifically prohibited from using information contained in the Resume Database to sell or promote any products or services or to take any other action that is, in HEA-Employment.com's sole judgment, inconsistent with these Terms and Conditions, misleading or incomplete, or in violation of any Federal, State, Local law, statute, code, rule, or regulation. 16.5 HEA-Employment.com may terminate, suspend, update, alter or supplement, at its sole discretion, all or any part of the Resume Database at any time. By permitting access to the HEA-Employment.com Resume Database, HEA-Employment.com does not convey any interest in or to the Resume Database or any other HEA-Employment.com property or Services. All right, title and interest in and to the Resume Database is and shall remain in HEA-Employment.com. 17. Additional Terms in Connection with Use of Workforce Analytics Services. If, in your Service Activation Agreement with HEA-Employment.com, you are purchasing any of our Workforce Analytics Services, the following additional terms apply to you: HEA-Employment.com hereby grants you a limited, non-exclusive, non-assignable (except as otherwise provided in this Agreement), worldwide right and license to: (a) store and use any Workforce Analytics Services for its internal management, reference or informational purposes, and (b) distribute copies of any reports generated by the Workforce Analytics Services (each a "Report"), notwithstanding any restrictions to the contrary in subsections 4.2 and 4.4, subject to the conditions that (i) such copies may be distributed only in printed or static electronic PDF format, (ii) in providing a copy of any Report to a recipient, you may not charge the recipient any kind of fee or other consideration, and (iii) you shall not remove or modify any branding, marks, copyright or trademark notices, or any other notices or disclaimers set forth in any Report without HEA-Employment.com's prior written consent, or otherwise modify the Report in any way so as to falsely or otherwise misrepresent its content. Further, you may not issue press releases or make other public statements regarding any Report, or the contents or conclusions in same, without the express written consent of HEA-Employment.com. 18.1 You shall cooperate with HEA-Employment.com in the performance by HEA-Employment.com of the Services, including, without limitation, (a) providing HEA-Employment.com with timely access to data, information, and personnel; (b) providing experienced, qualified and full-time personnel having appropriate skills to perform their assigned tasks and duties in a competent and timely fashion; (c) promptly rendering all decisions and approvals so as not to delay or impede the performance of Services by HEA-Employment.com; (d) providing a stable, fully functional system infrastructure environment which will support the Services and allow HEA-Employment.com and you to work productively; (e) promptly notifying HEA-Employment.com of any issues, concerns or disputes with respect to the Services; and (f) any other item referenced in the Service Agreement being a matter of your responsibility. 18.2 You shall be responsible for the performance of your (and your subsidiaries' and affiliates') personnel and agents and for the accuracy and completeness of all data and information provided to HEA-Employment.com for purposes of the performance of the Services. 18.3 You acknowledge and agree that HEA-Employment.com's performance may be dependent on the timely and effective satisfaction of your responsibilities under this Agreement and timely decisions and approvals by you in connection with the Services. 19.1 WorkLife provides a place for people to communicate with others in their work, school or community networks (each, a "Network") in real time. 19.2 Subject to these Terms and Conditions and the terms and conditions of any social media network used by you, you may forward job postings broadcast by your Employer via WorkLife's "Referral" feature on social media networks to individuals who do not subscribe to WorkLife by using the functionality provided as part of the Referral feature on the condition that job postings are distributed solely through the Referral functionality and only: (1) to individuals who have a relationship to you on various social media networks; and (2) for the purpose of alerting those individuals of job postings that may be of interest to them. You are expressly prohibited from exploiting job postings for any commercial purpose (such as in the operation of a professional recruiting service). You are also expressly prohibited from forwarding job postings to any group or mass distribution list or forwarding job postings in violation of any local, state, federal or international laws, rules or regulations, including, without limitation, the federal CAN SPAM Act of 2003. 19.3 Each Network may have one or more individuals who are responsible for overseeing the use of, and monitoring the content posted to, such Network (the "Network Administrator"). 19.4 Users should follow their particular company's policies, guidelines, and procedures concerning the User Content they post to the Network. Users may delete their own User Content from the Network, so long as they are a member of that Network. Network Administrators may delete the User Content of one or more Users in their Network. 19.5 Individual Users may form a group to segment the audience for certain User Content ("Group"). Each Group may have one or more administrators (the "Group Administrator"). A Group may be designated as open to any User in a Network (a "Public Group") or a Group may be limited to certain Users in a Network with membership subject to the approval of the Group Administrator (a "Private Group"). A Group Administrator may add or remove Users to that particular Group. Though Users may establish a Private Group, User Content posted within a Private Group on a Network is owned by that Network. 19.6 Some areas of the Network may allow Users to post feedback, comments, questions, data, and other information ("User Content"). You are solely responsible for your User Content that you upload, publish, display, link to or otherwise make available (hereinafter, "post") on the Network, and you agree that HEA-Employment.com is only acting as a passive conduit for the online distribution and publication of your User Content. HEA-Employment.com will not review, share, distribute, or reference any such User Content except as provided herein or as may be required by law. All User Content will automatically become the property of the company who has purchased the Network (including all User Content posted to a specific Group or Groups within a Network). HEA-Employment.com does not have, nor does it claim, any ownership rights in any User Content. In addition, you should note that if you are no longer an eligible member of a network (e.g., you cease to be employed by the relevant company), your access to all User Content you uploaded may be terminated. Once a User is removed from a Network, the content of that User remains on the Network and is the sole property of the company which administers that Network. 19.7 You agree not to post User Content that: (i) may create a risk of harm, loss, physical or mental injury, emotional distress, death, disability, disfigurement, or physical or mental illness to you or any other person; (ii) may create a risk of any other loss or damage to any person or property; (iii) may constitute or contribute to a crime or tort; (iv) contains any information or content that is unlawful, harmful, abusive, racially or ethnically offensive, defamatory, infringing, invasive of personal privacy or publicity rights, harassing, humiliating to other people (publicly or otherwise), libelous, threatening, or otherwise objectionable; (v) contains any information or content that is illegal; (vi) contains any information or content that you do not have a right to make available under any law or under contractual or fiduciary relationships; or (vii) contains any information or content that you know is not correct and current. You agree that any User Content that you post does not and will not violate third-party rights of any kind, including without limitation any intellectual property rights, rights of publicity and privacy. 19.8 HEA-Employment.com takes no responsibility and assumes no liability for any User Content that you or any other Users or third parties post or send over the Network. You understand and agree that any loss or damage of any kind that occurs as a result of the use of any User Content that you send, upload, download, stream, post, transmit, display, or otherwise make available or access through your use of the Network, is solely your responsibility. HEA-Employment.com is not responsible for any public display or misuse of your User Content. You understand and acknowledge that you may be exposed to User Content that is inaccurate, offensive, indecent, or objectionable, and you agree that HEA-Employment.com shall not be liable for any damages you allege to incur as a result of such User Content. 19.9 You are solely responsible for your interactions with other Network Users. We reserve the right, but have no obligation, to monitor disputes between you and other Users. HEA-Employment.com is not the employer and we are not the ones who decide who gets contacted or hired by a company and because of this, we cannot promise or guarantee any person who joins HEA-Employment.com a job or that the person will be contacted about a job. There are no limitations or restrictions on the number of jobs that can applied for or performed during membership subscription. The membership fees cover online account setup, personal online profiles, resume postings, daily job alerts, job searches, consultation, counseling, online job applications, resume writing services, research, daily business operations, site maintenance and customer service. Membership Plans: All the membership plans include access to the job database and basic member services. Members can upgrade or cancel their membership subscription at any time. Job Openings: The jobs listed in the HEA-Employment.com database are telecommuting jobs that can be done from home. The jobs are found and imported from various job search sites on the Internet. If contact details for the employer is provided, the details will be included in the job description. Jobs less than 7 days old are guaranteed to be currently available at the time of posting. HEA-Employment.com is not responsible for any incorrect or inaccurate information, misspellings or contact details. Any job HEA-Employment.com is aware of that is no longer offered will be immediately removed from the job database. Jobs older than 7 days are not guaranteed to be available. As a matter of policy, HEA-Employment.com does not endorse any job, company or recruiter listed on the HEA-Employment.com website. HEA-Employment.com services are provided solely to assist you in your search for a job. PayPal, AlertPay, Google, Amazon or a valid credit card is required for paying memberships. Free memberships which provide a limited access to the Service are not required to provide a payment method. Payments for monthly, quarterly or yearly memberships are charged every 30, 90 or 365 days. There will be no refunds or credits for partial months of Service, upgrade/downgrade refunds, or refunds for months unused with an open account. Memberships with monthly, quarterly or yearly services are billed every 30, 90 or 365 days after initial purchase on a monthly, quarterly or yearly basis in accordance with our pricing schedule and all payments are non-refundable. Our member subscription fee is the only charge members will be required to pay and no additional fees will be required or requested from any company using our services. There are no contracts or long-term commitments. Refunds for Membership: Customer support must receive all requests for refunds via email or an online request BEFORE you assign yourself a user name and password or you are issued a user name and password. Once members are assigned a user name and password to access the members area, all fees are non-refundable. Fees for resume distribution, job search assistance and the professional resume writing service are non-refundable once services are rendered. Refunds or adjustments after 24 hours from the time of purchase will not be considered for slow performance. The website is designed to perform best at a 28880-connection rate, or better. However, we have no control over Internet bandwidth and Servers that can affect performance, causing brief delays in the download speeds for the services and display of the HTML pages. We also do not have any control over web browsers that do not allow you to access the website or members area on certain days or during times of the day. Refunds for Business Packages: Software, books and memberships are non-refundable. No refunds will be given after 24 hours of the original purchase date. • Customer understands that HEA-Employment.com does not tolerate chargebacks or disputes of any kind and that no chargebacks or disputes of any kind are acceptable. • Customer understands that Company deems chargebacks as consumer fraud and will proceed to collect by any means necessary. • Customer is responsible for attorney's fees, fees for collection agencies or third party intervention if customer issues a chargeback or does not pay monies owed. • If Customer disputes or issues a chargeback without following proper procedures, customer will owe $50.00, any chargeback fees accessed to HEA-Employment.com and the amount originally owed. • HEA-Employment.com will report any outstanding balances to the three main credit bureaus. • HEA-Employment.com will have the incident reported to anti-fraud databases, which will prevent any further purchases on the Internet. • HEA-Employment.com has a chargeback legal department and WILL file suit immediately if necessary. DOWNGRADING YOUR HEA-EMPLOYMENT.COM SITE MAY CAUSE THE LOSS OF CONTENT, FEATURES, OR CAPACITY OF YOUR ACCOUNT. HEA-EMPLOYMENT.COM DOES NOT ACCEPT ANY LIABILITY FOR SUCH LOSS. By enrolling in a membership plan, you authorize HEA-Employment.com to automatically charge the current subscription fee or rate to your bank account, credit card, debit card or PayPal account without any additional action by you prior to the expiration of your subscription plan without interruption before the start of each new term. You may cancel the membership subscription at any time for any reason by logging into your account and cancelling your membership or by contacting our customer service department to request an account cancellation. All plans are subject to our terms and conditions. You are solely responsible for properly cancelling your account. You can cancel your account at any time by sending us an email. Please remember there are no refunds provided once the subscription has been cancelled. The Account page provides a simple no questions asked cancellation link. Any cancellation of your Account will result in the deactivation or deletion of your Account or your access to your Account, and the forfeiture and relinquishment of all Content in your Account. This information cannot be recovered from HEA-Employment.com once your account is cancelled. Please be aware that HEA-Employment.com may for a time retain residual information in our backup and/or archival copies of our database. We will make reasonable commercial efforts to delete your information as soon as possible after you communicate that intention to us. Cancellations will take effect immediately. Upon the commencement of a new Service period the Service will terminate without additional notice, and you will not be charged for any subsequent Service periods. You will not be provided any refunds or refunds for unused time on your Service period. HEA-Employment.com reserves the right to refuse service to anyone for any reason at any time. HEA-Employment.com reserves the right at any time and from time to time to modify or discontinue, temporarily or permanently, the HEA-Employment.com Site and Service (or any part thereof) with or without notice. Prices of all HEA-Employment.com Sites, including but not limited to monthly subscription plan fees to the HEA-Employment.com Site, are subject to change upon 30 days notice from us. Such notice may be provided at any time by posting the changes to the HEA-Employment.com Site. HEA-Employment.com shall not be liable to you or to any third party for any modification, price change, suspension or discontinuance of the HEA-Employment.com Site. We claim no intellectual property rights over the material you provide to the HEA-Employment.com Site. Your profile and materials uploaded remain yours. However, by setting your pages to be shared publicly, you agree to allow others to view and share any Content. HEA-Employment.com does not pre-screen Content, but HEA-Employment.com and its designee have the right (but not the obligation) in their sole discretion to refuse or remove any Content that is available via the HEA-Employment.com Site. Each member to the HEA-Employment.com website is granted a unique user ID and password which is used to gain access to the materials therein. • Under NO circumstances whatsoever may any registered user share or distribute their user IDs or passwords to third parties without prior permission. Any breach of this term will result in the immediate suspension of the account. • Under NO circumstances whatsoever shall members distribute the information contained within this site. Any member found in breach of this term shall have their account suspended immediately. • Under NO circumstances whatsoever shall members print, duplicate or reprint the services contained within this site without prior permission. a. If the Agreement is an electronic contract, then this Section applies in order to set out the legally binding terms of your use of our Programs, including the HEA-Employment.com Company Websites. You accept the Agreement and the terms, conditions, and notices contained or referenced herein by clicking on the "I Accept" button in connection with your enrollment. This action creates an electronic signature that has the same legal force and effect as a handwritten signature. When you click on the "I Accept" button during enrollment, you also consent to having the Agreement provided to you in electronic form. b. You have the right to receive the Agreement in non-electronic form and may request a non-electronic copy of the Agreement before or after you electronically sign the Agreement by submitting a request to us as specified below. You also have the right, at any time, to withdraw your consent to have the Agreement provided to you in electronic form. Should you choose to withdraw your consent to have the Agreement provided to you in electronic form, we will discontinue your then-current username and password. This means that you will not have the right to use any Program unless and until we issue you a new username and password. We will only issue you a new username and password after we receive a signed copy of a non-electronic version of the Agreement, which we will send to you upon written request. To withdraw your consent and/or request a non-electronic copy of the Agreement, please send a letter and self-addressed stamped envelope to the applicable address located below. Your withdrawal of consent shall be effective within a reasonable time after we receive your withdrawal notice described above. Prior to such effective date, the Agreement electronically signed by and provided to you will remain legally valid and enforceable. c. In order to access and retain the electronic Agreement, you must have access to the Internet, either directly or through devices that access web-based content, and pay any charges associated with such access. In addition, you must use all equipment necessary to make such connection to the Internet (e.g., a computer and modem or other access device). Please print a copy of the Agreement for your records. 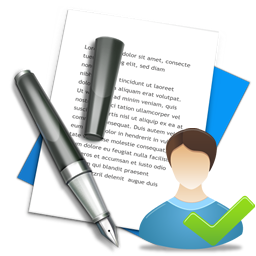 To retain an electronic copy of the Agreement, you may save it into any word processing program. We will notify you of any changes in the hardware or software requirements needed to access and/or retain the Agreement that create a material risk that you will not be able to continue to access and/or retain the electronic Agreement. Unless otherwise explicitly stated, the materials on the website are provided "as is", and are for registered members use only, and all express or implied conditions, representations and warranties, including any implied warranty of fitness for a particular purpose, or non-infringement, are disclaimed, except to the extent that such disclaimers are held to be legally invalid. HEA-Employment.com makes no representations, warranties, guaranties as to the quality, suitability, truth, accuracy or completeness of any of the services contained on the HEA-Employment.com website. Any questions regarding the services should be directed to the providers of such services. None of the services or products provided on this website is guaranteed to get any person a job. None of the services or products provided will get a person a job within any particular time frame. HEA-Employment.com reiterates that none of HEA-Employment.com's services and products is guaranteed to locate work for any person or company that uses the services or products on this website. Any employer or company that uses our services may or may not be hiring at the time of contact. Submissions of information to employers or companies are not guaranteed to be delivered or received by the employer or company. We are not responsible for and do not endorse any advertiser, employer, company or job offered in our services and products. HEA-Employment.com is not responsible for any money or items lost as a result of a member that deals with a company located on our website. HEA-Employment.com uses a third party eCommerce Credit Card company called Authorize.net to process the online payments. The security type that is implemented throughout the payment system is 128 Bit SSL encryption. Any queries relating to the security of this website or your data can be emailed to us. HEA-Employment.com is committed to protecting your privacy and to providing technology that gives you a secure online experience. The majority of the website can be viewed without giving us any information about yourself. However for certain areas of the website and for certain functions you are required to enter personal information. HEA-Employment.com respects your privacy and will not sell or make available in any way your personal information except where you have specifically asked us to or if we are required to do so by law or in the good faith belief that such action is necessary. HEA-Employment.com protects the security of your personal information and honors your choice for its intended use. We carefully protect your data from loss, misuse, unauthorized access or disclosure, alteration or destruction. Your personal information is never shared outside HEA-Employment.com without your permission, except under conditions explained. This website and the service and information herein is copyrighted: No part of this website may be copied, photocopied or reproduced in any form or by any means without the permission in writing from HEA-Employment.com. Violation of these laws will lead to prosecution. All trademarks, service marks, products or services are trademarks or registered trademarks of their respective holders and are acknowledged by the authors. Every effort has been made to ensure complete and accurate information concerning the material presented in these services. The webmasters appreciate receiving notice of any errors or misprints. Information in this website is subject to change without notice. Companies, names and data used in examples herein are fictitious unless otherwise noted. In no event shall HEA-Employment.com be liable for any indirect, punitive, special or incidental damage (including loss of business, revenue, profits, use, data or other economic advantage) however it arises, whether for breach or in tort, even if HEA-Employment.com has been previously advised of the possibility of such damage. You have sole responsibility for adequate protection and backup of data and/or equipment used in connection with the website and will not make a claim against HEA-Employment.com for lost data, re-run time, inaccurate instruction, work delays or lost profits resulting from the use of the services. Members are required to have an installed working copy of Microsoft Internet Explorer version 4 or above and/or Netscape Navigator version 4 or above web browser. The web pages are not guaranteed to display in any other format. All information, documents, products, software, and services (the "Materials") provided on this Website were provided by or to HEA-Employment.com ("HEA-Employment.com") by their respective authors (the "Third Party Providers") and are the copyrighted work of HEA-Employment.com and/or the Third Party Providers. Except as stated herein, none of the Materials may be copied, reproduced, distributed or republished in any form or by any means, including, but not limited to, electronic, mechanical, photocopying, recording, or otherwise, without the prior express written permission of HEA-Employment.com or the Third Party Provider. No part of the Website, including logos, graphics, or images, may reproduced or retransmitted in any way, or by any means, without the prior express written permission of HEA-Employment.com. You also may not, without HEA-Employment.com's prior express written permission, "mirror" any Material contained on this Website on any other server. Nothing on this Website shall be construed as conferring any license or permission under any of HEA-Employment.com's or any Third Party Provider's intellectual property rights, whether by implication or otherwise. You acknowledge sole responsibility for obtaining any such permission. Permission is granted to view and use HEA-Employment.com's services on this Website provided that: (1) you are a paid member or advertiser, (2) the use of such information is solely for personal, non-commercial and informational use and will not be copied or posted on any networked computer or broadcast in any media, and (3) no modifications of any of the services are made. This permission terminates automatically without notice if you breach any of these terms or conditions. Upon termination, you will immediately destroy any downloaded and printed services. Any unauthorized use of any information contained on this Website may violate copyright laws, trademark laws, the laws of privacy and publicity, and communications regulations and statutes. Services provided by Third Party Providers have not been independently authenticated in whole or in part by HEA-Employment.com. -a statement by you, made under penalty of perjury, that the information in your notice to us is accurate and that you are the copyright owner or authorized to act on the copyright owner's behalf. This Website may be linked to other websites, which are not under the control of and are not maintained by HEA-Employment.com. HEA-Employment.com is not responsible for the content of those sites. HEA-Employment.com is providing these links to you only as a convenience, and the inclusion of any link to such sites does not imply endorsement by HEA-Employment.com of those sites. Unless otherwise explicitly stated, herein, any services provided by you in connection with this Website shall be deemed to be provided on a non-proprietary and non-confidential basis. HEA-Employment.com shall have no obligation of any kind with respect to such information and shall be free to use or disseminate such information on an unrestricted basis for users to view. You acknowledge that you are responsible for the services that you submit, and you, not HEA-Employment.com, have full responsibility for the services, including their legality, reliability, appropriateness, originality and copyright. To help you gain the most from our HEA-Employment.com Forums and Chat, please familiarize yourself with the rules and guidelines below for participating in the message forums and chat rooms. These rules and guidelines are designed to help give a better understanding of what behavior is expected and make your experience more enjoyable and safe. 3. No posts that attack, insult, flame, defame, or abuse others. Respect other members' opinions. We should respect all points of view. Flaming will not be tolerated. - Advertising or spam is defined as posting a link for the purpose of selling, soliciting or promoting something. - Links promoting fundraising, advocacy, etc. are not permitted. - Sharing of links to helpful and relevant web sites and resources is allowed if they are not used for a promotional purpose. 5. No posts regarding research studies, or surveys without prior approval from the forum administrator. 4. Welcome new members. Help new folks "learn the ropes" about how to find information and resources, save time, and how to get involved. 5. Use descriptive titles for new posts. Avoid "generic" post subjects like "Help" or "Question". You will receive a better response to your posts by making your title more descriptive about the content of your post. 6. Be respectful of moderators in both the forums and any private communications. 7. Stay on topic. Posts which are not relevant to the forum topic may be deleted. 8. Keep posts family friendly. If it shouldn’t be viewed by minors, then it shouldn’t be posted to the forums or chat rooms. HEA-Employment.com Community forums and chat rooms are moderated by volunteers that have some special understanding of your situation. While they may not have answers to all your questions, moderators are here to help in any way they can. You can spot a moderator because their profile indicates that they are moderators. We are always looking for new moderators to help with our many topics. Members that do not abide by the rules may be subject to having their posts edited or deleted, their member account permanently banned from further access and/or deleted without notice. These rules and guidelines may change at any time, please re-read them regularly. This Website could include inaccuracies or typographical errors. HEA-Employment.com and the Third Party Providers may make improvements and/or changes in the services described in this Website at any time without notice. Changes are periodically made to the Website. These Terms of Service will be governed by and construed in accordance with the laws of the State of Nevada, without giving effect to its conflict of laws provisions or your actual state or country of residence. If for any reason a court of competent jurisdiction finds any provision or portion of the Terms of Service to be unenforceable, the remainder of the Terms of Service will continue in full force and effect. These Terms of Service constitute the entire agreement between the parties with respect to the subject matter hereof and supersedes and replaces all prior or contemporaneous understandings or agreements, written or oral, regarding such subject matter (including, but not limited to, any prior versions of the Terms of Service). Any waiver of any provision of the Terms of Service will be effective only if in writing and signed by an authorized representative of HEA-Employment.com. These Terms represent the entire understanding relating to the use of the Website and prevail over any prior or contemporaneous, conflicting or additional, communications. HEA-Employment.com can revise these Terms at any time without notice by updating this information. Terms and Conditions are subject to change at any time. Notice is deemed given when published on the Internet. Questions about billing should be addressed to Sales@hea-employment.com.